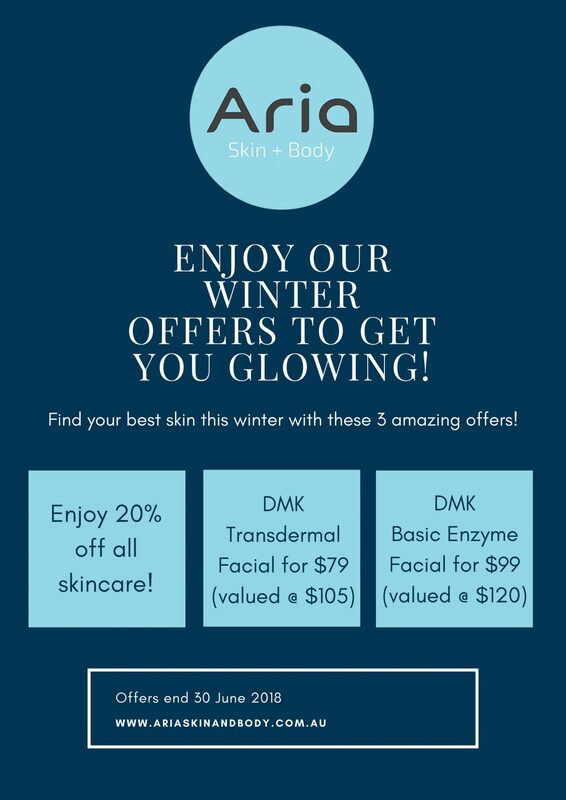 EOFY SALE at Aria Skin + Body! 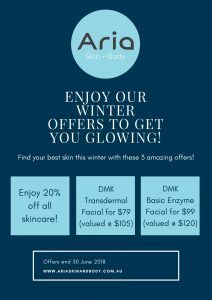 Whats on this June at Aria Skin + Body! Can’t make it in? Shop online and use the code EOFY20 for 20% off at checkout! Offers end 30 June 2018, Facial offers must be booked and redeemed during June 2018.